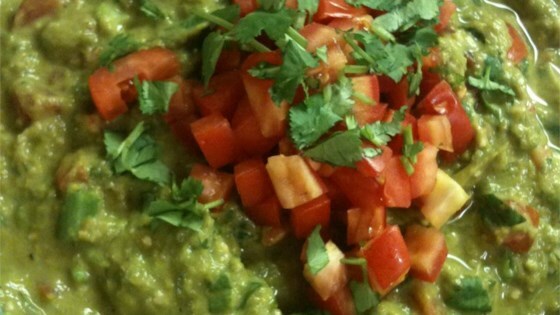 "This is an avocado-less recipe that can be served with veggies or low-fat chips. Very spicy so you may want to cut back on the hot pepper sauce or jalapeno peppers." Place the asparagus into a steamer insert and set into a pot over one inch of water; bring the water to a boil. Place a cover on the pot and steam the asparagus for 5 minutes. Transfer the asparagus to the bowl of a food processor and puree until smooth. Combine the asparagus puree with the yogurt, lime juice, cilantro, green onions, jalapeno pepper, garlic, tomato, Worcestershire sauce, and hot pepper sauce in a large bowl; gently stir to combine. Season with salt and pepper. Chill in refrigerator until completely cooled. Tasted like baby food :( Got a little better the more hot sauce I added, but wouldn't make again. This was amazing! Incredible how much like guacamole it is... however, the consistency is a little different. I highly recommend. Excellent! I think I will add more lime juice. I love the fresh cilantro taste. This tastes more like an asparagus salsa (to me) than a guacamole. At any rate I love it! Thanks!! !